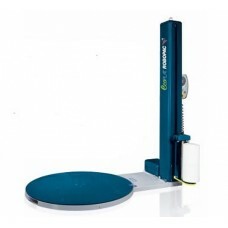 The Rotoplat line is a complete series of stretch wrappers that includes trans pallet versions for all models. 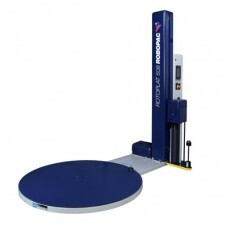 Technical characteristics and performances have been refined and improved by ROBOPAC over years of experience in the manufacturing of turntables for pallet stretch wrappers. The quality of all materials used in these stretch wrappers and the high technical standards for all mechanical and electronic components merge with highly efficient and precise assembling and testing procedures; this leads to the production of highly performant, durable and safe products. ROTOPLAT stretch wrappers are reliable, easy to use and to service and most of all they strictly comply with safety rules and standards.